Holiday.gr - Chora, a trip to a myth! 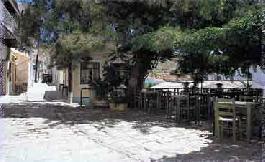 Chora was the capital of Samos during the medieval years. It is located in the south-western part of the island and abstains 15 km from Vathi. It is a traditional settlement with narrow paved alleys and old houses. It worths to visit it and walk in the alleys which was very busy in past times. You can swim in the beaches of Potokaki and Poros. In Chora you will find many accommodation units offering comfortable stay to those who love the quietness and the isolation of the scenery. Been to Chora ? Share your experiences!